The Republican party must be suffering from a collective amnesia. The party of hateful and violent remarks against minorities is now turning on Donald Trump after he said that John McCain wasn’t a war hero. Even Jeb Bush is jumping on Trump for his attack on McCain. Enough with the slanderous attacks. @SenJohnMcCain and all our veterans – particularly POWs have earned our respect and admiration. But it wasn’t too long ago that Jeb Bush was the Governor of Florida and his brother was running for president against John Kerry. At that time, Kerry was openly attacked by a group known as the Swift Boat Veterans for Truth. 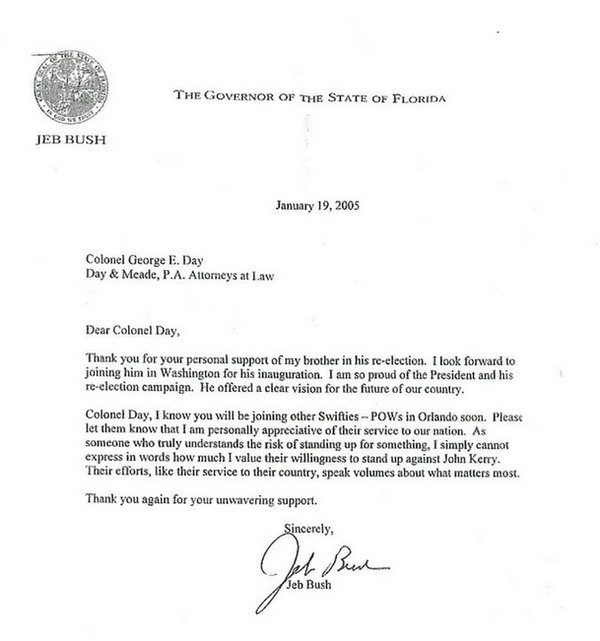 Their attacks on Kerry at the time were brutal but Jeb saw fit to send them a letter personally thanking them for helping his brother win office. It’s obvious that the Republicans still hold their hate, it’s just that they only express it when it’s advantageous. Right now, these candidates think it will be in their favor to attack Trump. Pathetic.